I’m a musician, beat maker, author and sound designer, and since 2002 I’ve been running an entire network of web sites solely dedicated to helping MPC owners. I’m probably best known for my ‘Beat Making on the MPC‘ books and as the founder of MPC-Forums.com, the largest MPC community on the planet. 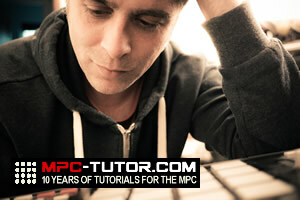 I discovered the MPC2000XL in the late 1990’s while looking for a centrepiece of my studio and live setup, and after realising the lack of online information and tutorials for MPCs, I set up MPC-Tutor.com, the first web site dedicated to providing tutorials for the MPC, and began to share what I had learnt about MPC production. As the site grew in popularity, I added a discussion forum which eventually became MPC-forums.com, which now has over 45,000 members and over 1 million posts. 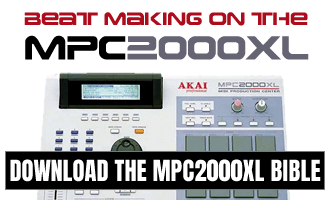 During this period, I began work on my first MPC book, ‘Beat Making on the MPC2000XL‘, which has subsequently led to another twelve books targeting various models of MPCs, including my latest ‘MPC Renaissance & MPC Studio: Sampling Laid Bare‘. I also run a site dedicated to developing MPC format sounds, MPC-Samples.com and have a new site dedicated to pro audio hardware currently in development.